Free download WinToFlash latest version from direct download link. It is a computer application that is used to make your USB flash drive bootable. This is usually used when you want to install Windows using your USB flash drive. Now we read that what the developers of this program say about it. WinToFlash is likely to make a big difference to the way you work. It will make life a lot easier for you. Quickly and simply install the program you needs and in no time at all you will find yourself writing essays on Windows and using your USB. The WinToFlash makes the job hassle free for you. 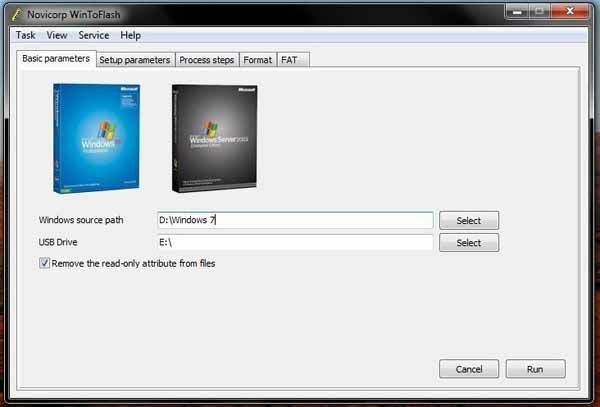 WinToFlash help you pull over the contents of a Windows XP, Windows 2003, Windows Vista, Windows 2008, Windows 7, Windows 8 installation disk and prep the USB drive to become a bootable replacement for the optical drive. This is about you can install your Windows from flash drive or card, HDD, etc. to your computer or netbook. And this is not all it can do. WinToFlash can transfer your live CD or DVD to USB card, for example, BartPE. After all you can erase your USB media and format it with Windows for everyday use. There may come a day that optical drives are as hard to find as 5.25 floppy drives are today. WinToFlash starts a wizard that will help pull over the contents of a windows installation CD or DVD and prep the USB drive to become a bootable replacement for the optical drive. It can also do this with your LiveCD. You don’t have to worry about scratches on the disc or misplacing your original media discs once you transfer their contents to the flash drive. The optical drive is quickly becoming a thing of the past, especially in office environments, as media is shifted to the cloud. We recommend to try our new software, Bootable USB Replicator. With WinToFlash, this application will be very usefull! It’s free of charge too. It’s not a problem for our Bootable USB Replicator to create an image of your USB drive. It works like any CD imager. Also, your image supports all boot features of the original USB drive. It’s easly than even a CD image because Bootable USB Replicator supports self-extraction, like WinRAR. All you need is to send only one .exe file to your friend and he can “burn” it instantly, with no other software, in one single click!